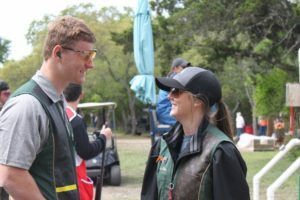 Seven seasons, 10 national event championships, several Olympic hopefuls, two individual National HOA Champions, too many Gold medals to list and hundreds of students excelling at teamwork and mentorship while learning the theory and academics of wing and clays shooting. The program’s origins date to 2009, when it began as a club, gaining full Varsity Team status in 2012. Several hundred students have now passed through it, and it boasts a regular active roster of 45-plus members. 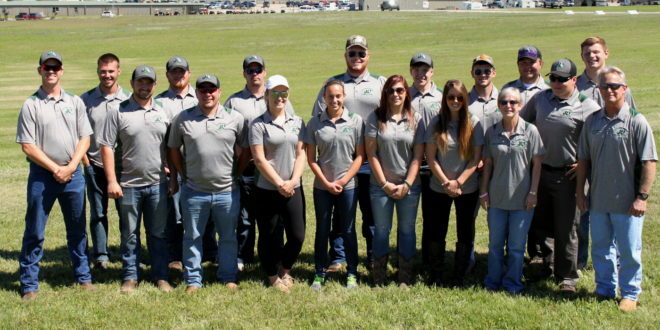 Team headquarters are at the multi-million dollar, state-of-the-art Jacksonville Clay Target Sports facility on New Berlin Road, 10 minutes from campus. Meanwhile, Dobson, co-chair of the Collegiate Advisory Board to the Scholastic Clay Target Program, entrepreneur and management skills consultant (and professional touring and studio blues guitar virtuoso to boot), runs the whole operation out of his office in Davis Student Commons. He guides team members, leads organizational meetings and brainstorming sessions — and shreds a scorching solo here and there on his ’57 Gibson Les Paul Custom or Paul Reed Smith if time permits. 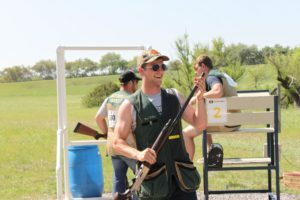 He also attracts tens of thousands of dollars in donations annually for the team’s activities, and helps write grants for and plot subject material for JU’s Wingshooting academic program. 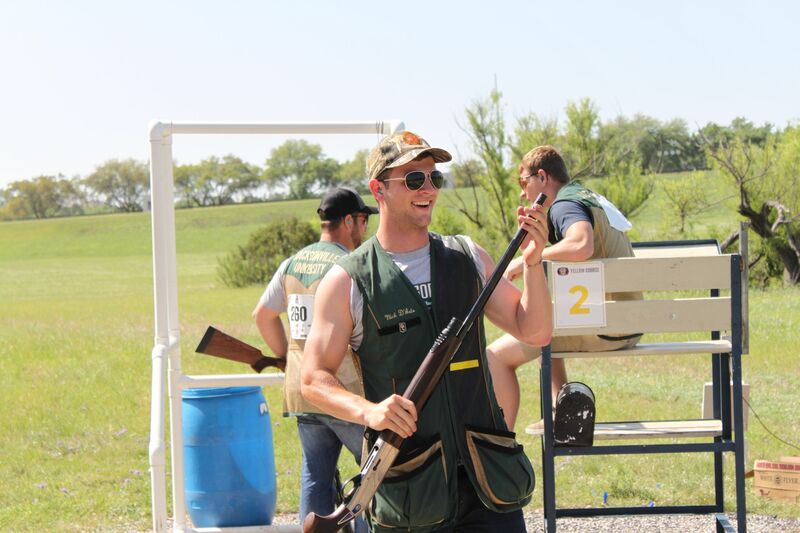 That’s right, the Varsity Shooting Team is about more than pointing shotguns from stands. 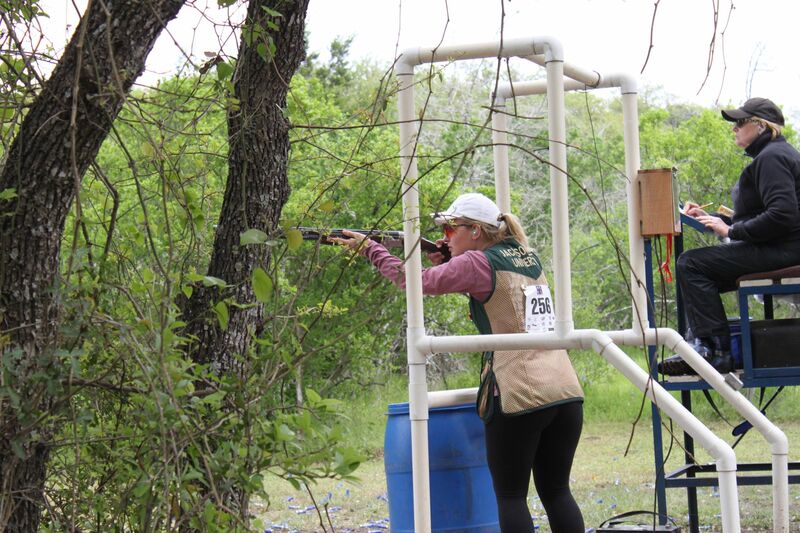 It’s also about theory in the classroom – for team members or just those curious about shooting. 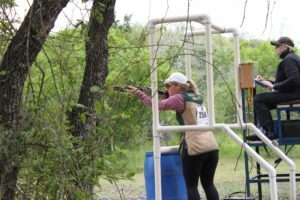 Since 2010, three ascending levels of Wingshooting courses and an independent study course have been taught via the Kinesiology program in the Brooks College Rehabilitation College of Healthcare Sciences. “These courses help students gain an appreciation for the activity, become advanced in its applications, and then proceed to become mentors and instructors themselves,” Dobson said. Dobson attributes the program’s success to a holistic approach that encompasses aggressive recruiting, superior teaching and mentorship, ownership and accountability. Team members for the 2017 season are: Alexander Amechi, Matt Bednarek, Marissa Biggie, Sophia Biglin, Megan Birtalan, Danielle Buttermore, Joe Byron, Matthew Chesser (USMC), Zachary Christensen, Nick D’Asto, Matt DeBord, Joe DeYoung, Colin Dulaney (USN), Mike Esposito, Benji Felder, Tom Frawley (USN), Sydney Fritz, Clayton George, Jonathon Glover, Jacob Hecht, Nathan Heeb, Sean Hensley, Marshal Hill (NROTC), Bobby Jacobs, Jena Jacobs, Kalie Jones, Devin Kennedy, Morgan Lambert, Stephania Landaeta, Christian Lizotte, Shelby LoPresto, Luke Macwilliams (USN), Mike Notarfrancesco, Brett Ollila, Drew Overmyer, Ron Palazzetti, Cassidy Pinto, Remington Rhoden, Jessica Roberts, D’Ayn Sayre, Kelby Seanor, Nick Stillwell (USA), Joseph Suarez, Palmer Szavuly, Brianna Tasset, Noah Torres (NROTC), Hunter Tracy, Glenn Turner (USA), Brittany Wilcox, Kasey Williams and Parker Woodring.